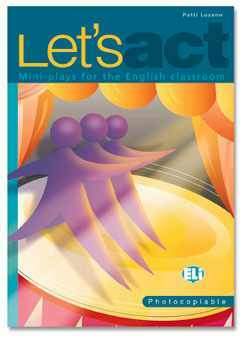 A photocopiable book featuring role-plays for ELT classes in upper primary and lower secondary school. The book offers students the chance to role-play 12 lively and intriguing acts while consolidating the language vocabulary and structures. Each play focuses on a specific language structure and a lexical theme. An exhaustive introduction provides teachers with hints and suggestions on how to get students motivated and involved in acting.